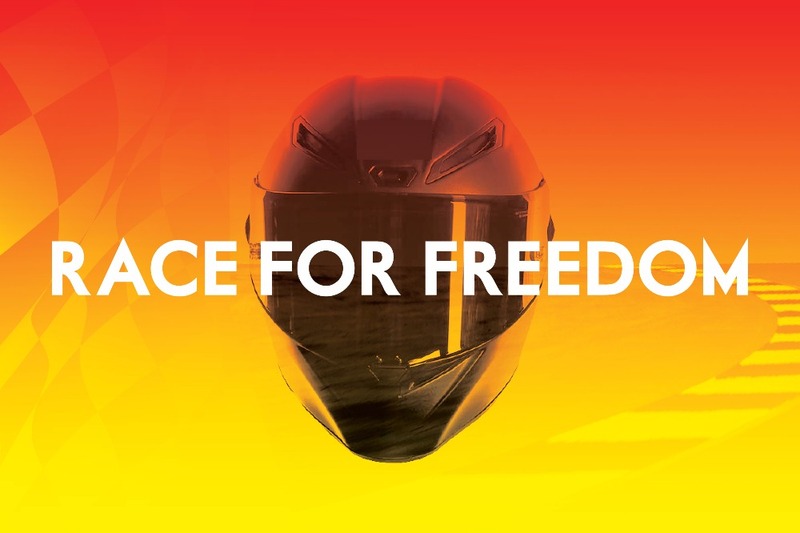 The RACE FOR FREEDOM is a greek motorcycle racing team that races to win the fight against human trafficking. • Because it is what we have in our hands. • Because bikers are predominantly men and are likely to be customers of sexual services. • Because awareness efforts are often linked to political motives, feminist or anarchist groups thus being dismissed by the majority of bikers. • Because when bikers speak to bikers… bikers listen. • Because it is a nationaly televised and covered event. • Because we want to inspire people to use what they have in their hands to do bold things. • Because we love it. • Because yesterday is gone! • Because of the increased national TV coverage this year. • Because there is more vulnerable people in Greece today than ever in recent history. • Through TV we will be able to reach 422.520 homes through the live and replay broadcasts. • Through Social media we have a following of 120.000 people. And with boosting in specific motorcycling interest pages and groups we are estimating to reach 500.000 people. • Decrease demand for sexual slavery. • Mobilise people to action against this and any injustice through our example. • Encourage people to volunteer at their local anti-trafficking organisations or A21 or start their own A-teams. We are a team of people with a lot of biker friends supporting us in this project. • We will setup a team and race in the Open class of the Greek championship with a motorcycle branded as 1109 the Greek anti-trafficking hotline run by A21. • We will plan awareness sessions to educate the racers themselves prior to the weekend (approximately 50-60 racers). • We will coordinate with key stakeholders (TV outlets, Championship Association, Municipalities, Local schools and universities and professional Racing Teams ) in order to achieve maximum exposure and attention to the issue of human trafficking. • We will have presence with an info-booth and a team of volunteers distributing print material to the guests and spectators at the event. • In coordination with National and Local news we will give press conferences, and statements from our team and the winners of each class. • We will produce video material with the winners and key figures of the motorcycle world which will be used to saturate social media with a message of freedom and justice for all. • We are committed to give from our personal time, skill and resources to set up a race-bike for this project. • We will look for sponsors and donations to cover a list of expenses or materials that we will need to make it happen.